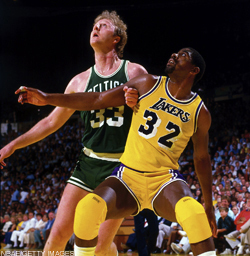 Magic & Bird; Rivals & Friends-But Who Was Better? A new play called Magic Bird opened up on Broadway on March 21, 2012. 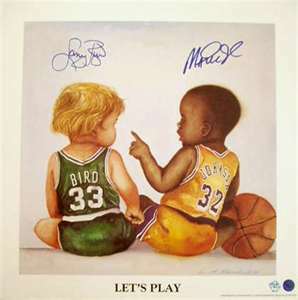 It is about the personal and professional relationship between two NBA legends; Earvin “Magic” Johnson and Larry Bird. Although I personally have not seen it, I have read the book “When The Game Was Ours” by Jackie MacMullan and found it fascinating. This play is based on actual conversations between the two super stars and what makes it even more authentic, is that both were involved in the creative process. They remain very close friends to this day following years of heated rivalries between them and their teams. But let’s go back to the beginning and delve into some differences and similarities between Magic Johnson and Larry Bird. Earvin Johnson Jr. was the first overall pick of the L.A. Lakers in the 1979 NBA Draft. He played under the spotlights of Hollywood. In his rookie season, he not only won a championship but was the NBA Finals MVP! He went on to win four more championships with the Lakers before announcing that he had contracted HIV in 1991. He made two comebacks and in 1996, at the age of 36, played just 32 games before finally retiring. He was elected into the Hall of Fame in 2002. Larry Joe Bird, from West Baden, Indiana, was the sixth overall pick of the Boston Celtics in the 1978 NBA Draft. He came from a rural town and played in a blue collar city, quite the opposite of Magic. Three years later his Celtics won the NBA Championship. He repeated that feat two more times and was the NBA Finals MVP in ’84 and ’86. He also was the NBA MVP three times. His career, like Magic’s, was also cut short-Bird’s due to chronic back problems. He retired in 1992. He was elected to the Hall of Fame in 1998. Due their fierce rivalry, competitive nature, and extraordinary talent, the question that’s been raised hundreds of times is who was better: Magic or Bird? Safe to say that one could argue for either player. Personally, I lean towards Magic. His versatility was boundless. There wasn’t a position on the floor that he couldn’t or didn’t play. His athleticism was hands down greater than Birds. And, if you want to get technical, he won more championships. Here are some interesting stats and achievements by Larry Bird that you might want to take into consideration. Bird played better defense than Magic, and had 59 Triple-Doubles during his career- during regular seasons- and 10 during the play-offs. His career lasted 13 years and he averaged 24 points per game, 10 rebounds, and 6 assists.. He had a 49.5 % field goal average, 88.6% Free Throw average, and a 37.6% 3-point shooting average. Some of Magic’s stats include 19.5 points per game to go along with 7.3 rebounds, 11.2 assists and 1.9 steals. His Field Goal average was an amazing 52%. He had a 85% Free Throw average and a 30.2% 3-point shooting average. And here is another difference maker for me. In his 13 year career, Magic had 138 Triple-Doubles; second all time to Oscar Robertson who had 181. So we’re asking basketball enthusiasts, those old enough to have seen these two super-stars play, and just fans of the great game of basketball, who would you say was the better player? Magic or Bird? Having spent my formative NBA fan years loving the Showtime Lakers, I guess I am partial. That being said, I remember despising Larry Bird. Which in fan-speak, is the highest form of flattery. I take Magic by a hook shot in the final seconds. But I would NEVER let Bird throw an inbounds pass under the basket with time left on the clock. Larry Bird to me was like Reggie Miller. Hated them both because they were solo good and killed my Knicks. I liked Magic when he was in college and closely followed his career. IF I had to pick between the two I’d go with Magic Johnson. He was the Finals MVP and he beat Bird in college in the National title game and twice more in the NBA Finals. That’s not to say that Bird wasn’t one of the greatest players of all time but Magic was better. It seems destiny placed them on similiar paths, and they played basketball on a level so high that it’s obvious that they brought the best out of each other. But a 6’9 Point Guard like Magic, I doubt we’ll ever see that again. And Bird’s basketball I.Q. was off the charts. They both were entertainers as well, and had a flare for the dramatic. 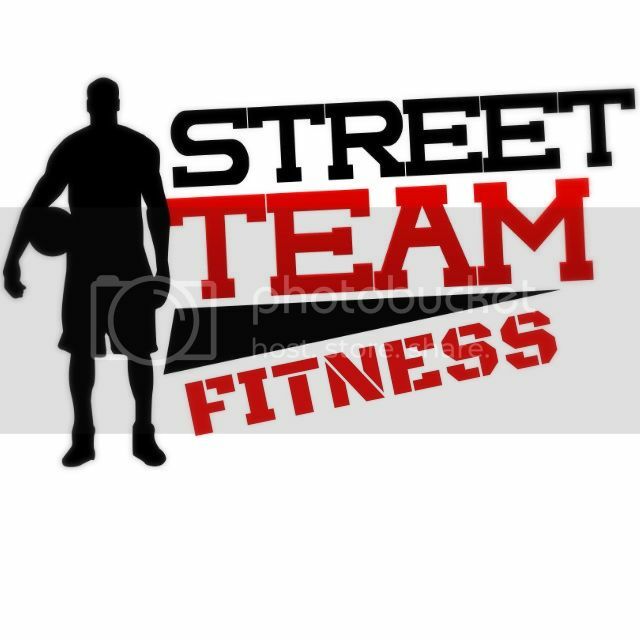 And I grew up a 76ers (Dr. J.) fan, so at times, I hated both of them but loved them at the same time. I feared Bird more, because back then they only way to get to the NBA Finals in the east was to go through Bird and the Celtics, and it was next to impossible to beat them. But ultimately it comes down to winning, and it I had to pick one of the two to win me a championship, it would be Magic Johnson. That’s a good point about Magic being a 6′ 9″ guard. His size and talent made it possible for him to play so many positions…and play them well. Seems overwhelmingly Magic who gets the edge here. I wasn’t alive but I’ll go with Magic. He was a better overall player and didn’t rely on the there as much. All excellent points and a well-built case for Larry Bird. From all the emails we received from this article, some basketball fans actually sided with Magic partly because of his persona and being the more likable of the two. Wrong reasons in this debate to be sure. We feel his versatility on the court; by being able to play multiple positions, made him a more valuable player, but your raise some key elements to Bird’s all-around game that are worthy of consideration. One more reason for Bird as my choice, and I do miss watching both play, Bird with ROY and 2nd in season MVP voting in 81,82 83 and 88 and season MVP in 84,85 and 86 represents 8 of 12 seasons he played better than Magic. Not to pick on Magic, these guys are human – not machines – but Magic had poor performances in 81 vs Rockets and in 84 vs Celts. I think Bird was more clutch.